Trade shows are effective tools for marketing your products and services to other businesses and consumers. 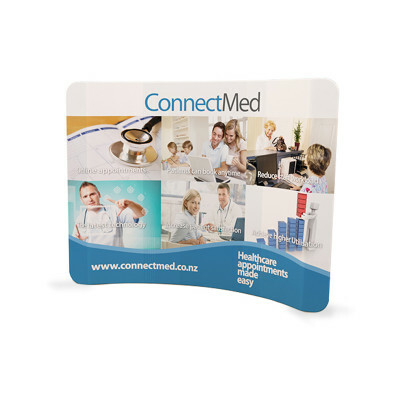 An attractive trade show display is essential for grabbing the attention of your target audience. 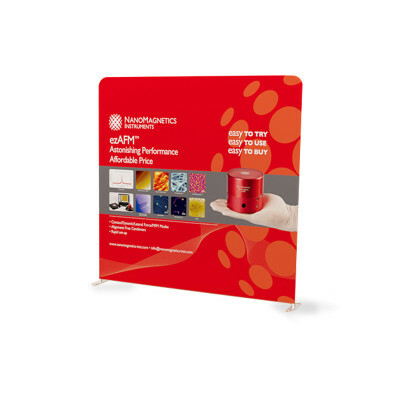 At Print Banners, we offer a wide variety of trade show products, including tension fabric displays and pop up displays, and accessories to complete the look of your display. 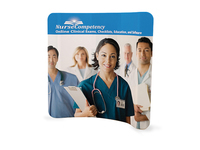 Tension fabric displays are among the most commonly used marketing tool for trade show banners and exhibits. 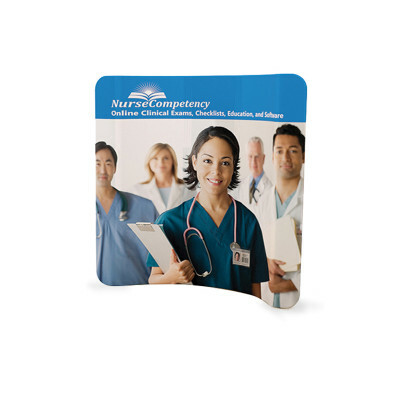 This type of display is visually appealing and creates a professional business display that can be adapted to many purposes. 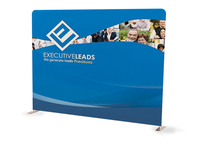 The unique tension fabric can be stretched over the frame to create an attractive, lightweight, and professional display for your event. 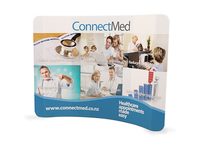 Another popular option for trade show backdrop displays is the pop up display. 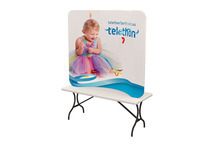 Pop up displays can be set up in minutes by pulling the frame to expand it horizontally and vertically. 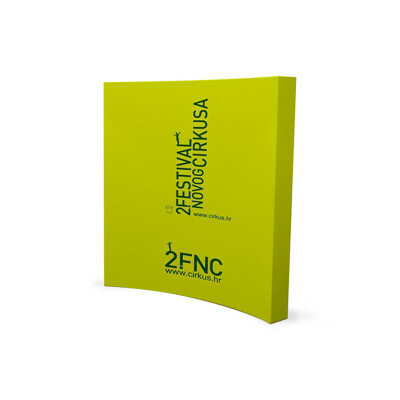 The framework inside the display is three dimensional, which means your image or message will show on the sides of the display, as well as the face. This type of display takes up a bit more space, but makes a great visual impact. 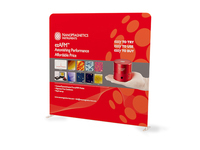 Print Banners offers accessories to complete the look of your tradeshow display. 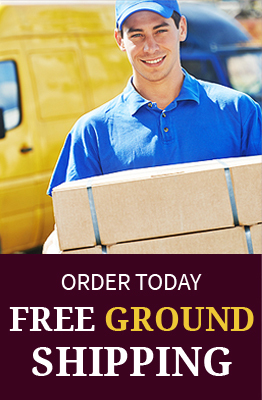 When you are traveling to a trade show, you want to make sure everything arrives in great shape. 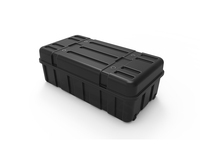 We offer a protective hard case that will protect your display components and can also be used as a podium. 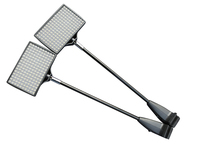 The LED lights for trade show displays attracts the eye of onlookers to your booth. 8ft Curve Tension Fabric Display Our Tension Displays consist of a lightweight but durable alu..
8ft Straight Tension Fabric Display Our Tension Displays consist of a lightweight but durable ..
8ft Straight Velcro Fabric Pop Up Display The pop-up display is so quick and easy to assemble ..
10ft Curve Tension Fabric Display Our Tension Displays consist of a lightweight but durable al..
8ft Curve Velcro Fabric Pop Up Display The pop-up display is so quick and easy to assemble wit..